NO PURCHASE OR PAYMENT OF ANY KIND IS NECESSARY TO ENTER OR WIN. A PURCHASE WILL NOT INCREASE YOUR CHANCE OF WINNING. VOID WHERE PROHIBITED. 1. ELIGIBILITY: This contest (the “contest”) is only open to persons who are legal residents of Canada and age 19 or older at the time of entry. Employees, sales agents, directors and officers of FUTURE GROUP REALTY LTD. (“Released Parties”) and members of their respective immediate family (spouse and parent, children and siblings and their respective spouses, regardless of where they reside) and persons living in the same household, whether or not related, of such employees, are not eligible to enter or win. 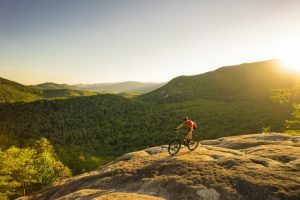 This contest is subject to all applicable federal, provincial and local laws and is void where prohibited. 2. HOW TO ENTER: To enter during the Promotion Period: Visit http://www.facebook.com/FutureGroupRealtyLtd and enter your email address, and name. Bonus entry options available. 3. PROMOTION PERIOD: The Contest will begin at 9:00 am Atlantic Time (“AT”) on March 1, 2017 and end at 11:59 am Atlantic Time (“AT”) on March 31, 2017 (the “Promotion Period”). All entries must be received by Future Group Realty Ltd during the Promotion Period. All entries submitted become the sole property of Future Group Realty Ltd and will not be returned. Online entries will be deemed to have been submitted by the registered subscriber of the e-mail account from which the entry is made. Entries generated by a script, macro or other automated means are prohibited and will be disqualified. 4. SELECTION OF WINNER: One (1) winner, subject to verification, will be randomly chosen on or about April 3, 2017. Decisions regarding contest matters are final and binding, from among all eligible Entries received during the Promotion Period. Potential winners will be notified via direct message to the winner’s email submitted. Future Group Realty Ltd is not responsible for any change in account information, email, mailing address and/or contact information of entrants. 5. GENERAL CONDITIONS: In the event of noncompliance, if the winner cannot be reached at the e-mail address submitted with entry, or if the prize or prize notification is returned as unclaimed or undeliverable, the prize will be forfeited and an alternate winner will be selected. No alternative or substitution of any prizes will be offered. Limit one (1) prize per person/household. Entrants agree to be bound by these Official Rules and the decisions of Future Group Realty Ltd, which are final and binding in all respects. By participating and accepting a prize, so long as there is no legal prohibition, winner agrees to the use of his/her name for advertising or publicity purposes without further compensation. Registrations received from any persons or email addresses in excess of the stated limitation will be void. Future Group Realty Ltd is not responsible for lost, late or illegible entries. Released Parties are not responsible for: (i) electronic transmissions or entries that are lost, late, stolen, incomplete, illegible, damaged, garbled, destroyed, misdirected or not received by the Sponsor or its agents for any reason, (ii) any problems or technical malfunctions, errors, omissions, interruptions, deletions, defects, delays in operation or transmission, communication failures or human error that may occur in the transmission, receipt or processing of entries, or for destruction of or unauthorized access to, or alteration of, entries (iii) failed or unavailable hardware, network, software or telephone transmissions, damage to entrants’ or any person’s computer or cell phone and/or its contents, or causes beyond Released Parties’ reasonable control that jeopardize the administration, security, fairness, integrity or proper conduct of this Sweepstakes: (iv) any entries submitted in a manner that is not expressly allowed under these rules (all such entries disqualified); (v) incorrect or inaccurate entry information whether caused by entrants or by any of the equipment or programming associated with or utilized in the Contest, or (vi) any typographical or other errors in the printing, the offering or the administration of the Contest, or in the announcement of a prize. If for any reason this Contest cannot be executed as planned, including but not limited to infection by computer virus, tampering, unauthorized intervention, fraud, technical failures, or any other causes beyond the control of the Released Parties that corrupt or affect the security, administration, fairness, integrity or proper conduct of this Contest, or if the Contest is compromised or becomes technically corrupted in any way, electronically or otherwise, the Released Parties reserve the right to cancel, terminate or modify the Contest. If Contest is terminated before the original end date, Future Group Realty Ltd will select the winners by random drawing from among all eligible non-suspect Entries received as of the termination time/date. Future Group Realty Ltd reserves the right, at its sole discretion, to disqualify and prosecute any individual who tampers with or attempts to tamper with the entry process or the operation of the participating stations’ websites or who enters using any automatic or programmed entry duplication method that is prohibited under these rules. CAUTION: ANY ATTEMPT BY ANY PERSON TO DELIBERATELY DAMAGE ANY WEB SITE OR OTHERWISE CORRUPT OR UNDERMINE THE LEGITIMATE OPERATION OF THE SWEEPSTAKES MAY BE A VIOLATION OF CRIMINAL AND CIVIL LAWS, SHOULD SUCH AN ATTEMPT BE MADE, SPONSOR RESERVES THE RIGHT TO DISQUALIFY, PROSECUTE AND SEEK DAMAGES FROM ANY SUCH PERSON TO THE FULLEST EXTENT PERMITTED BY LAW. 6. PRIZE AND ODDS OF WINNING: One (1) winner will receive 2 nights in a White Point room, Two Dinners for two people & Two Breakfasts for 2 people at White Point Beach Resort Nova Scotia. Odds of winning depend on the number of eligible Entries received during the Promotion Period. Winners will be selected in accordance with Section 4 of these Official Rules. consequential, or any other damages, (c) all causes of action arising out of or connected with this Contest, or any prize awarded, shall be resolved individually, without resort to any form of class action. By entering, entrants agree that all issues and questions concerning the construction, validity, interpretation and enforceability of these Official Rules, participant’s rights and obligations, or the rights and obligations of the Sponsor in connection with the Contest, shall be governed by, and construed in accordance with, the laws of Nova Scotia, without giving effect to any choice of law or conflict of law rules. By entering, entrants consent to the jurisdiction and venue of the federal, state and local courts for Yarmouth, Nova Scotia. 8. 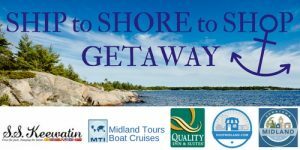 WINNER LIST: For winner’s name, city & province, mail a self-addressed, stamped envelope to be postmarked within thirty (30) days of Contest close to: Future Group Realty Ltd, 99 Water Street, Yarmouth, Nova Scotia. 9. This Contest is in no way sponsored, endorsed or administered by, or associated with, Facebook. By entering, you understand you are providing your information to the Sponsor & not to Facebook. 10. 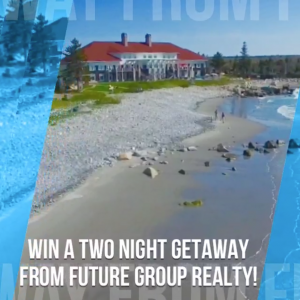 CONTEST SPONSOR: Future Group Realty Ltd, 99 Water Street, Yarmouth, Nova Scotia. . http://www.facebook.com/FutureGroupRealtyLtd.